The government says that Canada's pursuit of deeper trade relations with China is full steam ahead despite suggestions that such enthusiasm could risk angering the Trump administration during NAFTA talks. 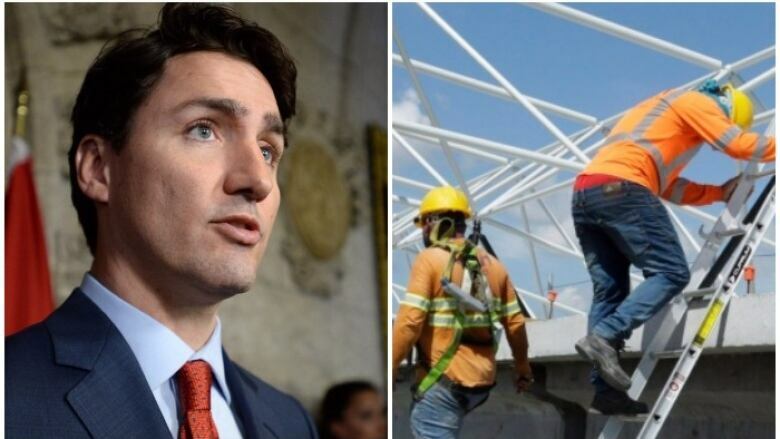 The Trudeau Liberals are facing warnings to proceed cautiously and in as transparent a manner as possible as they weigh a Chinese state-owned company's bid to take over Aecon construction, which has headquarters in Toronto, Calgary and Vancouver. The warnings come in the face of strong affirmations by the Liberal government that Canada's pursuit of deeper trade relations with China is full steam ahead despite suggestions that such enthusiasm could risk angering the Trump administration during the North American Free Trade renegotiations. CCCC International Holding Ltd. of China has made a $1.5-billion bid to buy Aecon Group Inc., which has a storied 140-year history in landmark Canadian construction and engineering projects such as the CN Tower, Vancouver's SkyTrain and the Halifax Shipyard. CCCC International has some less auspicious recent history. The World Bank banned it from bidding on construction projects for eight years until this past January because of a bid-rigging scandal in the Philippines. The state-owned company has also been linked to the construction of artificial islands in the South China Sea, which has created high tension between China and several Asian countries. The government says it will review the offer to decide if there is a "net benefit" to Canada as required, but has not made clear whether a national security test will be imposed on the company. Prime Minister Justin Trudeau has said the deal will be reviewed "very carefully" under the Canada Investment Act. Rejecting the deal would anger China, which is anxious to start free trade talks with Canada, and maintains that an eventual deal would provide more certainty for its potential investors in Canada. David Mulroney, a former Canadian ambassador to China, urged the government to keep its guard up in the face of shifting circumstances with Beijing. "We can't make every decision with a view to making the Chinese happy. The more you do that, the more bad deals come your way from China," said Mulroney. "You have to show there are limits to our flexibility. We have real standards and we will live up to them." Canada needs to pursue free trade talks with China otherwise it will become "hostage to an American negotiating strategy and the fate of NAFTA," said Paul Evans, of the School of Public Policy and Global Affairs at the University of British Columbia. But the government needs to exercise caution when it weighs all investment bids by China, he said. "There is still a high degree of wariness about FDI (foreign direct investment) and particularly from state-owned enterprises," said Evans. "It's going to be really important for the government to be both transparent and forthcoming on what are the calculations that lay beneath their decision on either national security or net benefit to Canada." The Chinese embassy in Ottawa argues the Aecon acquisition is in Canada's interest, saying it is "purely a commercial activity." In a statement to The Canadian Press, the embassy said conducting a security review is a matter of "internal affairs" for Canada. But it said the deal would be in the economic interest of Canada. "We have learned that in recent years, a number of Canadian companies, acquired by Chinese companies, have not only ceased to lose and begun to turn out a profit, increased employment, but also entered a broader platform for development," the embassy said. "There are numerous such successful stories." The government faced criticism earlier this year when it allowed the takeover of Norsat by China-based Hytera Communications Co. Ltd. without a full national security review. Vancouver-based Norsat makes radio systems and transceivers used by the American military and other NATO partners. In 2012, the Harper government allowed Chinese state-owned CNOOC Ltd. to purchase Calgary-based Nexen Inc. for $15.1-billion in what was then the largest oil and gas purchase by China. But then-prime minister Stephen Harper said the takeovers would not be allowed to continue unless there were "exceptional" circumstances. Wariness about deepening ties with China surfaced again this past week. Following a similar warning this spring from the former interim Conservative leader Rona Ambrose, ex-industry minister James Moore, also a member of the government's NAFTA advisory panel, said Ottawa risks angering President Donald Trump if it pursues free trade talks with China. Trump has a history of anti-China rhetoric. Trudeau, Foreign Affairs Minister Chrystia Freeland and a spokesman for International Trade Minister Francois-Philippe Champagne have since dismissed Moore, saying it remains in Canada's interest to push forward, unabated, with China. "There's an argument to be made that demonstrating that we have a diversification and a broader range of interests than simple dependence on NAFTA might actually strengthen our NAFTA negotiating position," Trudeau said.